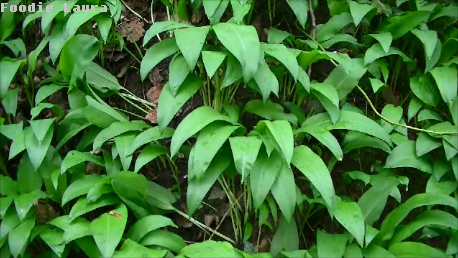 I've been out foraging this month and picked wild garlic. I've made two recipes too so I'm already doing far better than last month on the foraging front. Have you picked anything yet? I made garlic butter and pork gyoza after my little forage today. I filmed a short video when I went out to pick the garlic, I'm hoping to grow the Nature's Lunchbox challenge this year so I thought I'd share it in YouTube too. I'd love for you to join in with the link up below.